When you live with diabetes and have to intensively manage insulin, you know how quickly blood glucose can change, and how challenging and unpredictable diabetes can be. Imagine having a system that can alert you and help you to prevent lows before they happen – day and night. 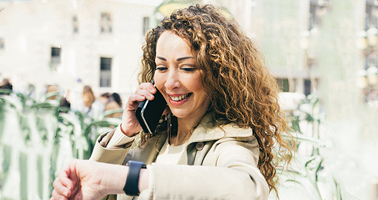 With the world’s first mobile-connected CGM system*, you can also share your real-time data with up to 5 Followers†, for remote monitoring and extra peace of mind. Now you can get the good night’s sleep you all deserve. 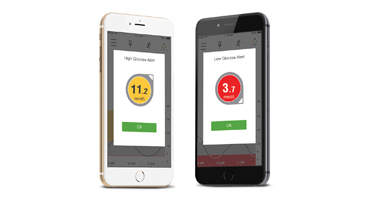 Conveniently view your blood glucose from your compatible smart device - so you can always know where your glucose is, where it's heading, and how quickly it's changing. Get notified of impending lows and highs with customizable alerts, allowing you to take control sooner and spend more time in range. 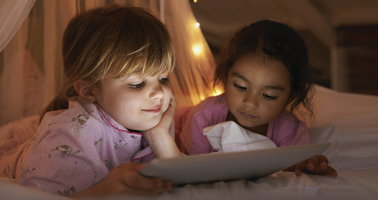 With Dexcom G5 Share® and Follow® apps†, you can always know your child's blood sugar levels - even while they're away. Less worry. More peace of mind. Tell us about your insurance. By clicking here, I am opting in to receive SMS texts from Dexcom (Canada), Inc. and Dexcom, Inc. relating to Dexcom products, including promotions, events and purchase opportunities. By clicking here, I am opting in to receive communications from Dexcom (Canada), Inc. and Dexcom, Inc. by email and telephone relating to Dexcom products, including promotions, events and purchase opportunities.